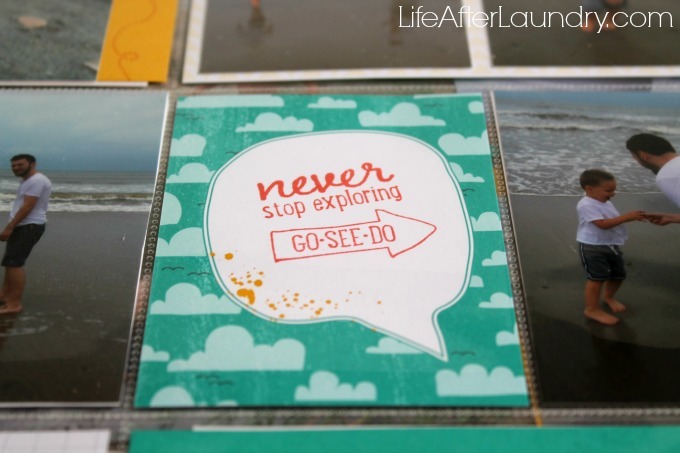 Let’s Get Away Project Life Collection by Stampin’ Up! Thank you Stampin’ Up! 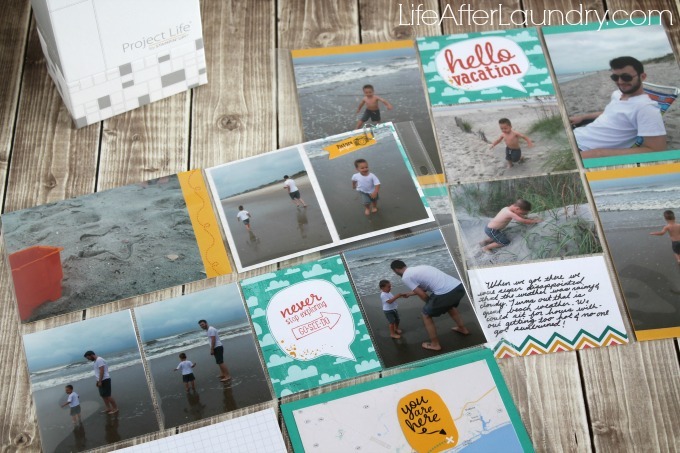 for providing this Let’s Get Away Project Life Collection, perfect for saving all of our family’s vacation memories! 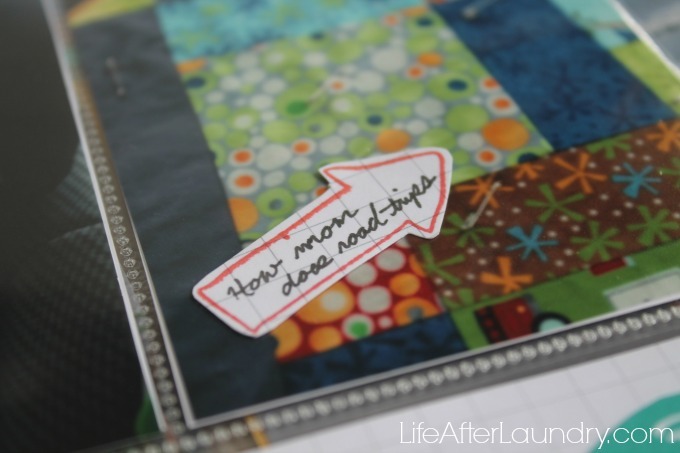 A few weeks ago I shared 5 reasons to Love Project Life. One of the main reasons I love it is because I’m actually scrapbooking now. This kits from Stampin’ Up! make it so easy to record our family’s memories. 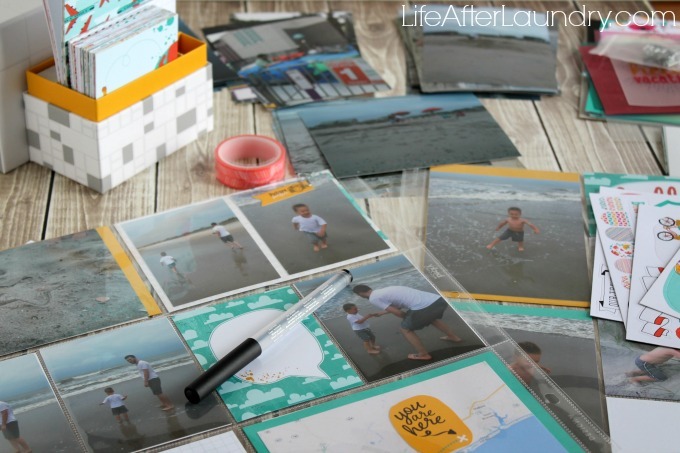 Vacations are one of the first things that I wanted to catch up on, so when I saw this Let’s Get Away Project Life Card Collection I knew it would be perfect. 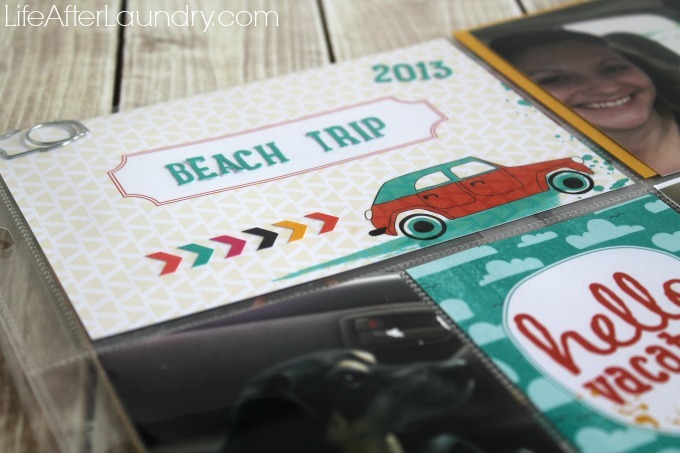 I loved creating our vacation album with this kit. The colors are so bright and happy, which is exactly how I felt as I thought back and recorded this special family memories. The cards are cute by themselves, but I also like to add little embellishments from the accessory pack. 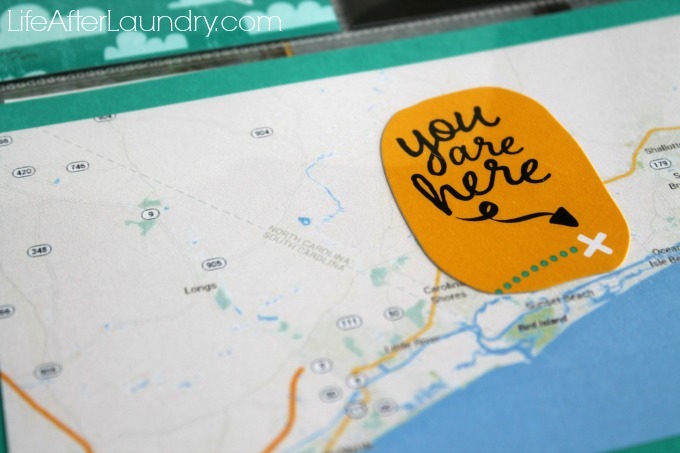 I thought this “You are here” sticker was a great way to show where our vacation was, so I printed a map and added it as a way of documenting the place. The reason I love using the Stampin’ Up! Project Life Collections is because it is so easy to coordinate all of your colors. In the catalog it has all of the color names under the product description. That gives me the chance to match up my ink and any cardstock I would like to add to my pages. It’s kind of a big deal to me for things to match, so this makes it very easy! With the Let’s Get Away Stamp Set I was able to make my own little embellishments, like this arrow. I also stamped my own little design on one of the cards that I didn’t need for journalling. It was a great way to fill up the space. In no time, I had put together an album that I will be proud for my family to look back on. 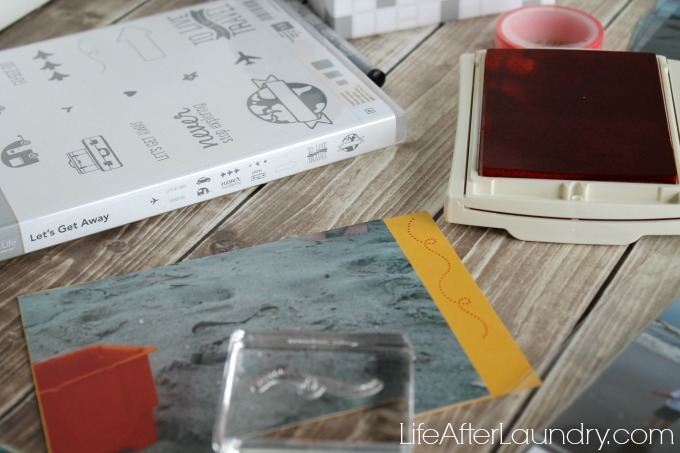 Project Life makes it so easy, and Stampin’ Up! makes it that much easier with their adorable cards, accessories and stamps! Next I will be starting on our pictures from Alaska. These cards are so versatile that it will be easy to transition my album into the next vacation. I think it will even work well for little day trip, since the collection focuses more on travel and adventure in general, instead of just one destination like the beach. Let’s Get Away Project Life Bundle is part of the 2015 Occasions Catalog and now is a great time to get your Project Life by Stampin’ Up! supplies. Through March 31st you can earn a free product for every $50 you spend, one of which is a Project Life Mini Card Collection! I love this! I think I need that set, after I get moved and have a blank space to make a scrapbook. I love the beach. My favorite place for sure! So much easier than the way I used to scrapbook, I need to get these and do them for my youngest, poor guy! 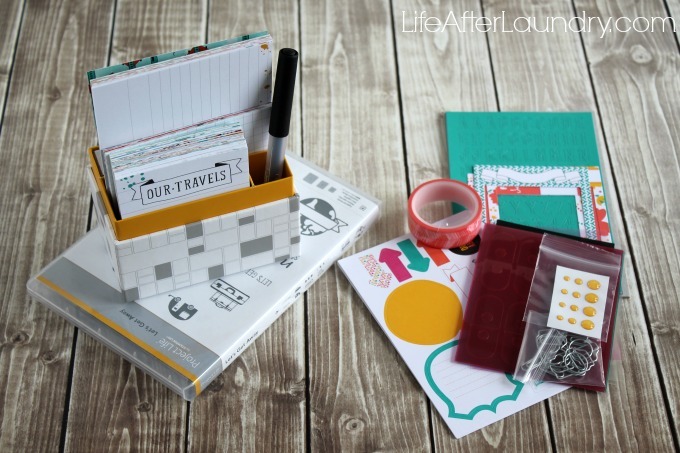 What a great way to scrapbook! I used to spend hours on one page but this looks awesome and so much faster! Wow! That is adorable and they have done a lot of the work for you! So cute! I would love this. i have been thinking about how I really need to make photo books and things for my kids and actually print off pictures.